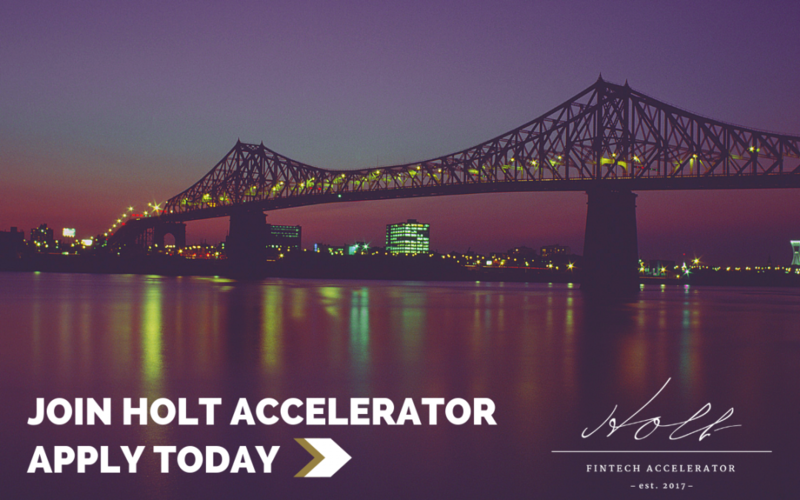 We are currently accepting applications into the next cohort at Holt Fintech Accelerator! This is the beginning of a really exciting period for the whole Holt team as we work to attract startups to apply to our new cohort over the next couple of months. In the last month, we have been to dozens of events globally seeking teams that best fit our Advisors needs. See our growing list of Advisors here! We’re looking for international, pre-Series A (i.e. bootstrapped, pre-seed, seed, bridge), FinTech startups who (or that) are ready to take advantage of this high-impact program. The program is being backed by the Holt family – one of Canada’s wealthiest families. The program is also supported by one of Canada’s largest AI firms and a long list of influencers within the FinTech community, offering invaluable insights into the North American market. Our website has all the info: https://www.holtaccelerator.ai/. Potential for capital calls from Holt or Holdun. Potential to partner with our alumni and future cohort. Potentially close deals with paying customers. Bonus: visibility, free office, service provider discounts.